Michael Tsegaye, Chasms of the Soul: XXVIII, 2010. Courtesy of the artist and Addis Fine Art. Michael Tsegaye, Future Memories XIII, 2011. Courtesy of the artist and Addis Fine Art. Michael Tsegaye, Future Memories IX, 2011. Courtesy of the artist and Addis Fine Art. Michael Tsegaye, A Shattered Witness I, from the series Chasms of the Soul, 2010. Courtesy of the artist and Addis Fine Art. Michael Tsegaye, Future Memories II, 2009. Courtesy of the artist and Addis Fine Art. The last 15 years have brought exponential change to almost every facet of life in Addis Ababa, the capital of Ethiopia. 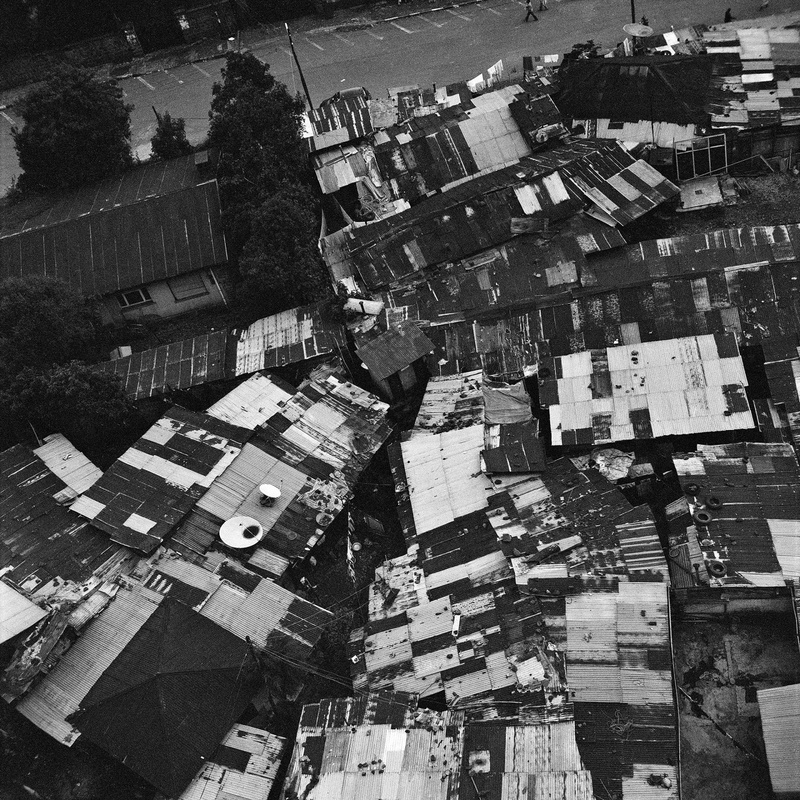 Fuelled by unprecedented economic growth, the city is home to some of the fastest-growing urbanization in the world; with this, however, has come large-scale displacement and the loss of some of the city’s most established communities. 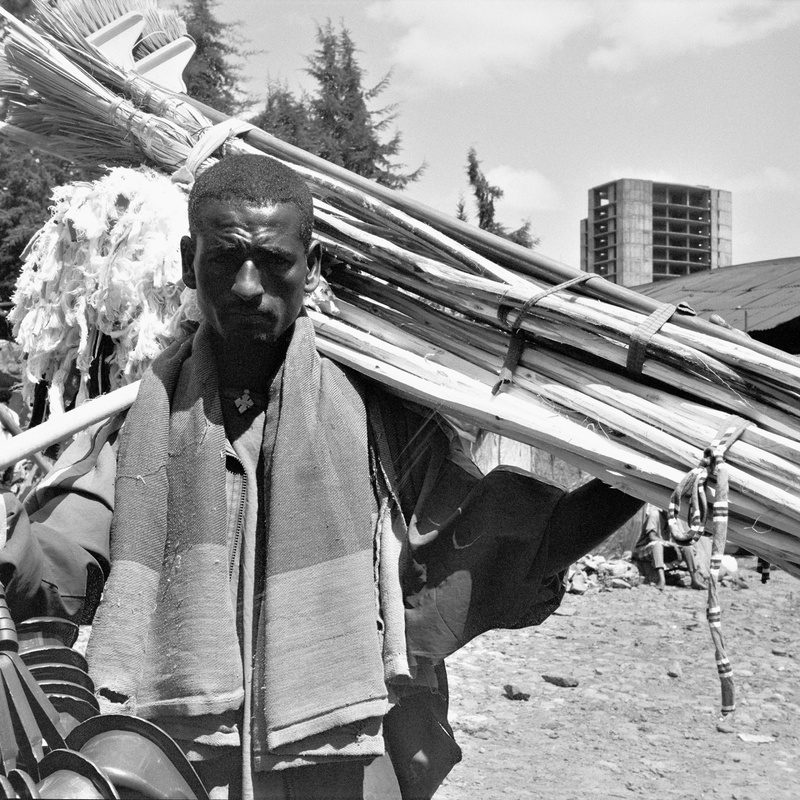 For Ethiopian photographer Michael Tsegaye, Future Memories (2009) is his way of capturing the Addis Ababa he knew and grew up in, preserving these memories in a rapidly altering environment. Village-like neighbourhoods such as Arat Kilo, which once bustled with residents, have been entirely supplanted by austere high-rise apartment blocks. 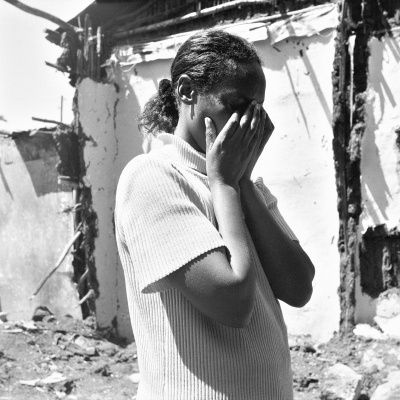 Not only have households been lost, but also the local culture. Central boulevards once occupied an important place for inhabitants: Sengatera main street, for instance, was once a popular location for collecting kindling to make injera (Ethiopian bread). Today the street is known as the financial district, home to the gleaming offices of multinational organizations, with professional life and human interaction now occurring inside them, rather than on the streets below. Many of the images in Future Memories depict this process of transformation in real time, with immense vertical structures looming forbiddingly over fragile corrugated iron homes. The omnipresent reality of displacement is palpable throughout the series. 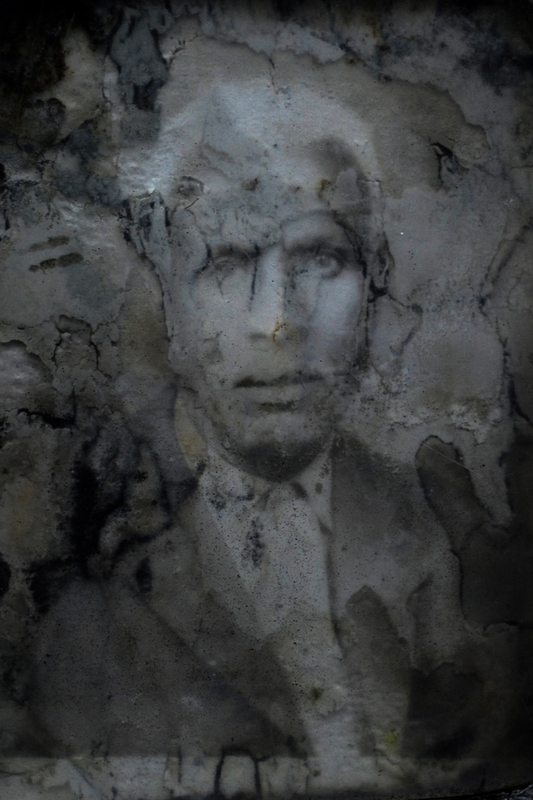 Tsegaye’s Chasms of the Soul: A Shattered Witness (2010) is part of the wider exploration of environmental change that Future Memories seeks to address; it comprises a collection of 64 unique photographs of portraits found in a cemetery within the city’s limits—half of which has now been replaced by paved highways. Tsegaye traversed the cemetery to document the framed portraits, which are left on the gravestones of the deceased in accordance with local tradition. 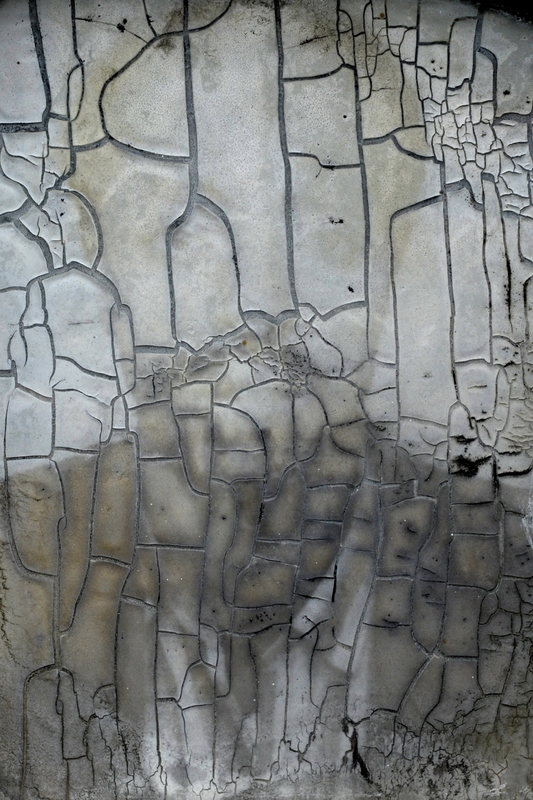 Each of his haunting images shows a faded apparition, dilapidated by sunlight and rain, the glass cracked and neglected. Much like the subjects within the frames, these ephemeral memorials are themselves ceasing to exist, in a sense undergoing a second death. Chasms of the Soul is an immersive and emotionally charged installation which acts as a memento mori. It records once-exuberant moments captured in portraits that are succumbing to time. Future Memories, although distinctively Ethiopian, elucidates a universal story of transformation and displacement through urbanization and gentrification in the pursuit of economic growth and modernization. Unaffordable condominiums and imposing office blocks are the linchpins of the modern city, and the disregard for its lost communities is a plight recognizable everywhere.